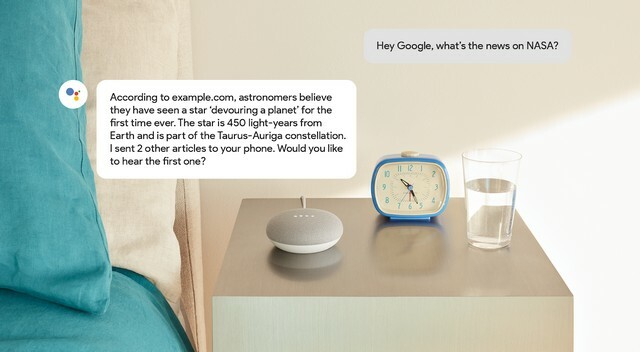 As part of its quest to make its News Feed smarter and more accessible to Google Assistant users on smart speakers, the tech giant is introducing new tools for news organizations and webmasters. As part of the process, Google says it is collaborating with schema.org, whose Speakable markup identifies sections within an article or webpage that are best suited for audio playback using text-to-speech (TTS). Using the Speakable structured data specification, publishers can designate specific portions of their articles for Google Assistant to read out loud to users when asked for news on any subject. The intelligent voice assistant will not only read out the given excerpt from one article, but will send other relevant links to the user’s mobile device. It will also ask the user if they’d like to hear another news article on the subject. According to Google, the feature is has only just been made available for English language users in the US, but the company says it plans to launch the feature in other languages and countries “as soon as a sufficient number of publishers have implemented Speakable”. The company also says that it hopes to refine the experience for both publishers and end-users in the coming days. To be eligible to appear in news results, publishers must have what Google describes as ‘a valid news site’. Webmasters can submit requests for adding their site(s) to the program either through the Publisher Center or by setting up a valid edition in Google News Producer by following the guidelines.